Under a clear sky with light wind, Eric and Shelley from Minnesota and Roy from Hawaii with his good friend Calvin from Florida, where able to experience what a HOT bite of Fishing in San Juan Bay Puerto Rico is all about. 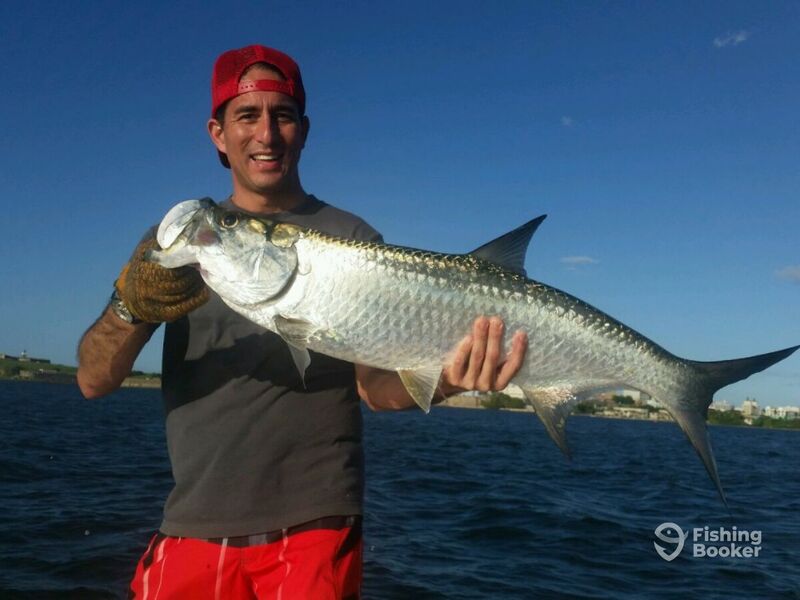 Over 20 agressive bites and over 11 fish where caught and released today (Tarpon, Jack Crevalle, Kingfish). 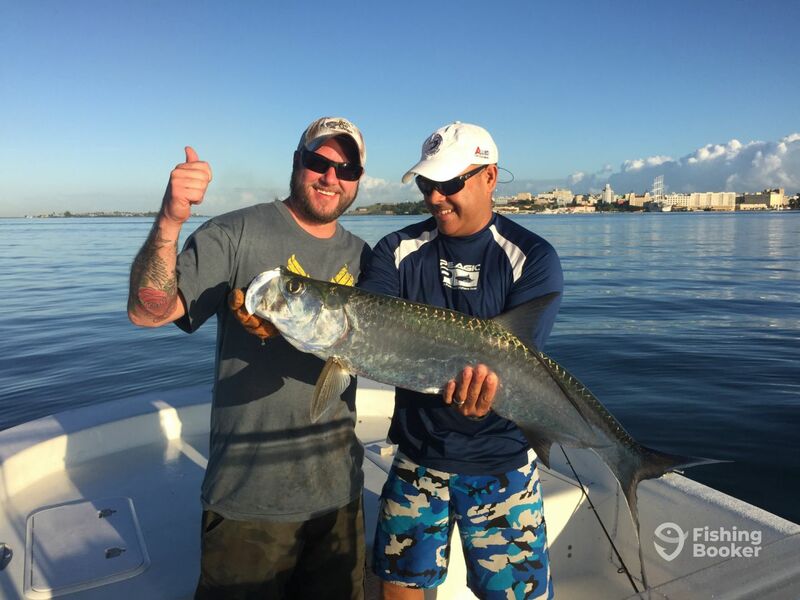 Congratulations to them for being able to not just live it but for being able to land species like Tarpon and Kingfish for the first time in thier lives. Enjoy your new fishing stories and moments that will last a lifetime. 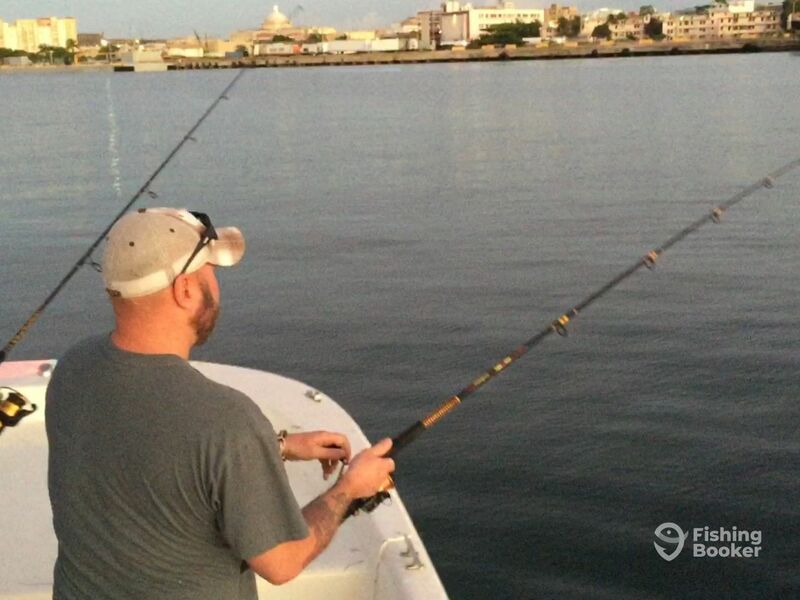 This was all possible at Bayside Fishing Charters with Captain Luis Burgos.